James Mou has been involved in film production for more than 23 years in various roles: as Producer, Line Producer and Unit Production Manager. He has worked on more than 50 feature films and more than 200 episodes of television series as well as a large number of short films, TV commercials, music videos and Karaoke. James has developed, organized and managed a TV Program Production Centre in Mainland China. James has also worked on a number of international co-productions between Canada and the following countries: US, UK, Germany, Italy, Japan, Hong Kong, Taiwan, China, and Singapore. In this capacity, he has been involved with the various aspects of film production such project planning, budget preparation, location research, production schedules. His more recent projects have been up to the range of $34 million Canadian. James has participated in selecting cast members and discussing scripts with executive producers, directors and writers. James has also arranged contracts for all cast and production crew and was responsible for making daily logistical decisions for the shoot. He has also managed the post production phase of various film projects. On the financing side, James has participated in securing corporate sponsorships. James has built a huge career in China, Hong Kong and Canada. He now resides in Toronto, but has worked in both the Chinese and North American systems, knows the details of costs between both continents. 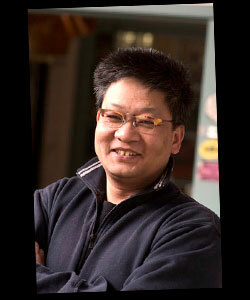 Recently he was the Canadian producer on a series shot in Ontario for CCTV, China’s National Television Network.